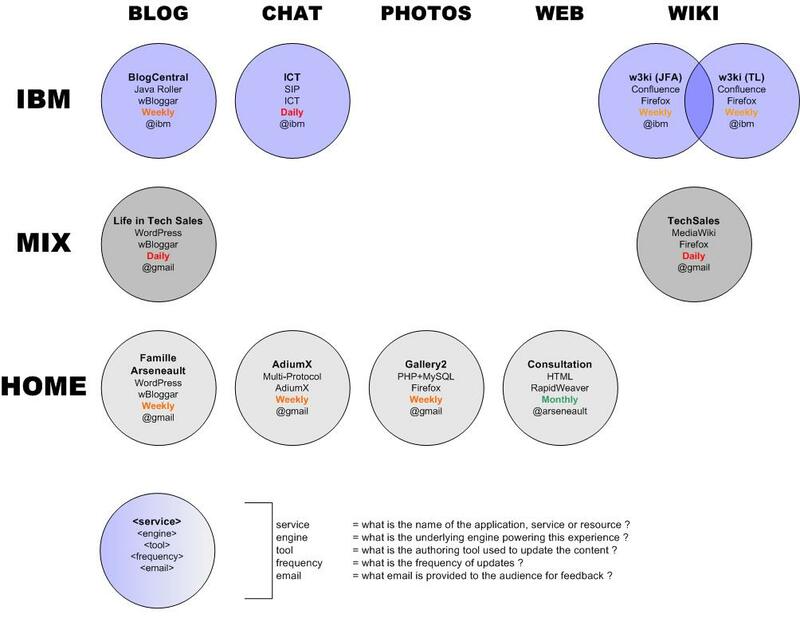 Earlier this year, I had shared with you a chart depicting all my presence points on the internet and on IBM’s intranet. It showed what kind of content I shared, the underlying engine used and the estimated update frequency. More importantly, it showed a few question marks, where I was questionning whether it made sense to continue updating those presence points, or simply folding. Well, in the spirit of simplifying my life, it was the latter.